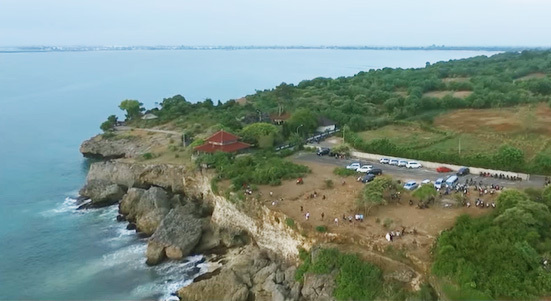 Tegal Wangi Beach is a beach tourism object with a combination of hilly areas located in Jimbaran Village. The atmosphere is quite quiet with a blend of natural that still makes Tegal Wangi Jimbaran the location of pre-wedding photos in Bali by photographers. You can relax sitting on the beach episodes, fishing, taking selfies with the beauty of the sunset or going up to the hills to see the beauty on every corner of Tegal Wangi Beach, Jimbaran.